Hot, hotter, hottest. Downtown is on fire with activities, destinations, and events all summer long, and we don’t want you to miss any of it. 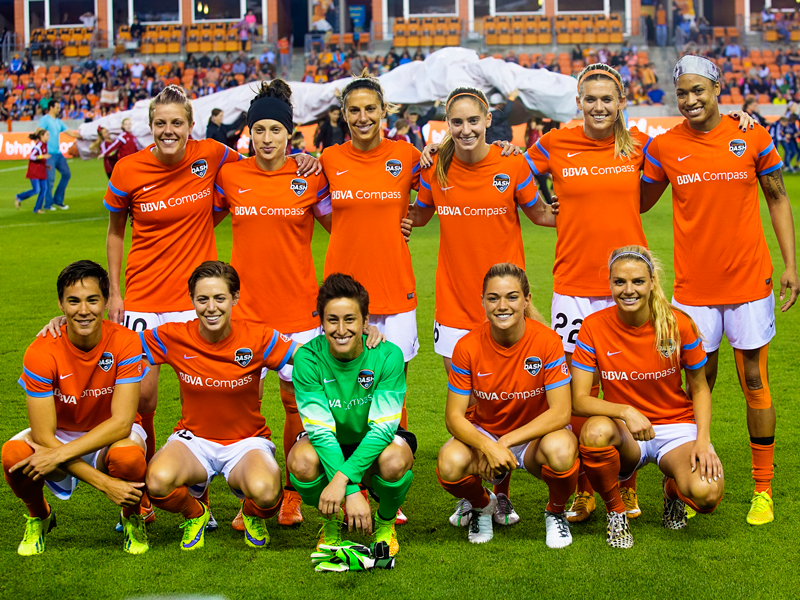 From Astros to kombucha, Free Press Summer Fest to ballerinas, it’s all here, and it’s all Downtown. We dare you to try them all. 2. In Houston, the weather might not be always reliable, but finding local musicians performing nightly at the Nightingale Room (308 Main Street) is always a sure bet. The unique venue showcases bands and musicians of all genres rocking out from the balcony stage. In the spirit of efficiency, there’s also a tiny drink elevator delivering libations to band members, often offered as a token of gratitude from adoring fans. Check out www.NightingaleRoom.com for details and don’t forget to order the Cuba Libre on Nitro if you are of the imbibing sort. 4. 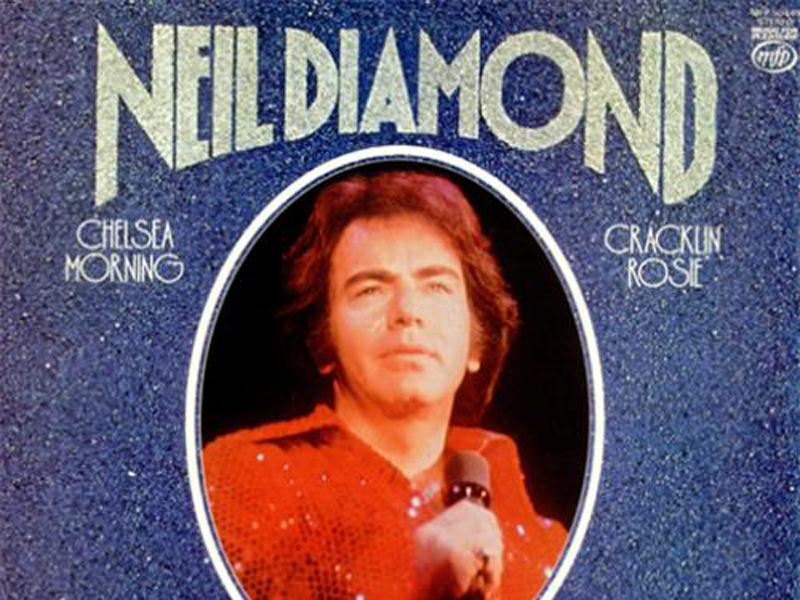 Toyota Center fires up the big guns this summer with their mega-concert lineup that includes PitBull and Enrique Iglesias (June 18), Iron Maiden (June 21) and James Taylor (August 1), but in the name of Sweet Caroline, don’t miss Neil Diamond (July 16) on his 50 Year Anniversary World Tour. Never seen him before? This Solitary Man will make you a Believer with his Beautiful Noise, and you won’t even have to bring him flowers. 6. Mimosas for Mom and Dad, live entertainment for kids ages 2-6. Truly a family friendly activity. 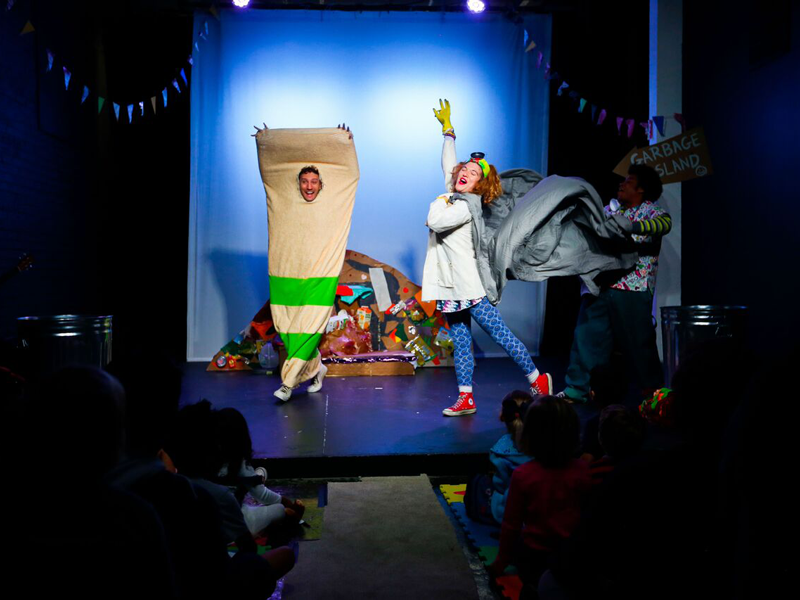 Explore the world of Garbage Island – which is way less smelly than you’d think – with the whole family. It’s a blend of sketch comedy, improv and audience participation guaranteed to wake you up, make you laugh and possibly get your body moving for the dance party finale. Tickets are $10 for ages 2 and up, but parents, that also covers a complimentary beverage of coffee, mimosa or juice box for the kiddos. Saturdays throughout the summer, 11:30 a.m. at The Rec Room at 100 Jackson Street. 1012: The Congress Street address of Christian’s Tailgate, where the Main Street Bike Bar tours begin. 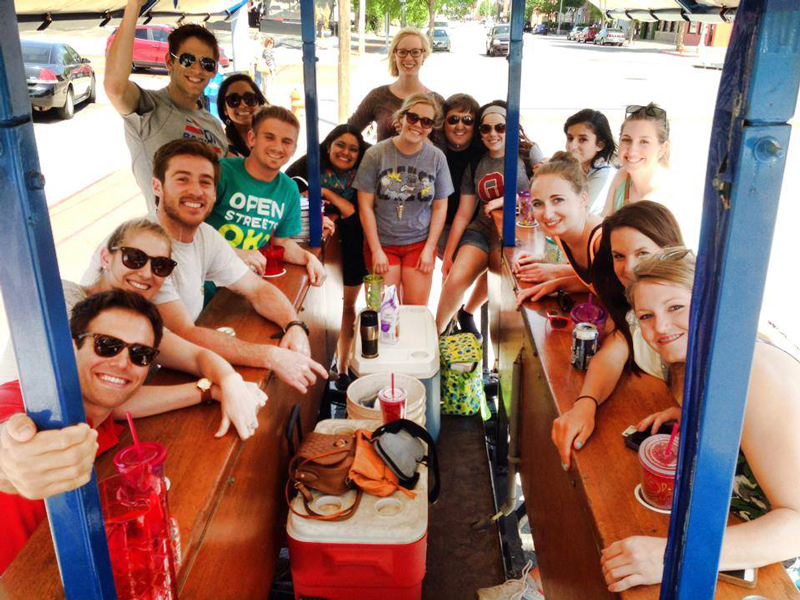 1: The number of Bike Bar tour drivers on board each excursion. 9. 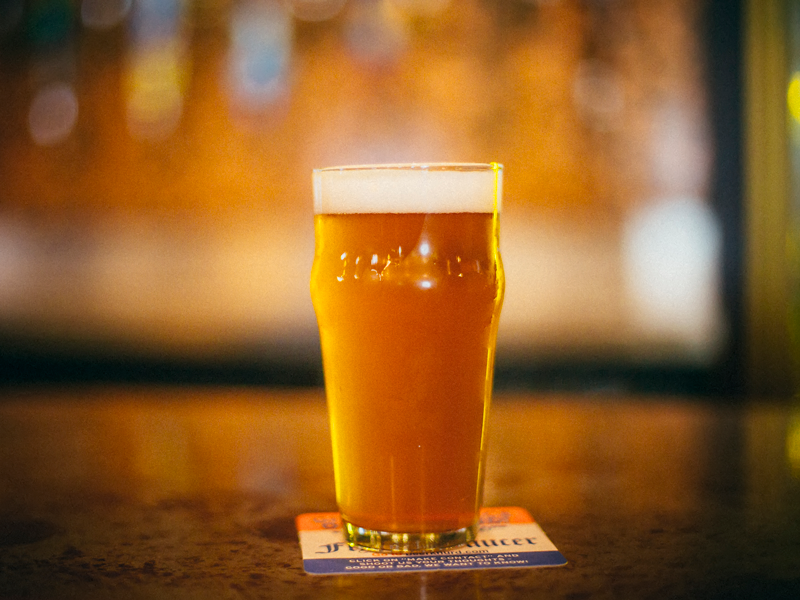 Join a thousand of your fellow beer lovers July 8 from 2-6 p.m. as they descend on Downtown bars like The Flying Saucer, Bovine & Barley, El Big Bad, The Brewery Tap, Christian’s Tailgate, Conservatory and more for the annual Summer Pils Saint Arnold Pub Crawl. It all culminates in a concert at Market Square Park, plus you’ll receive a souvenir pint glass to remember the historic day you spent sweating with friends and drinking tasty beers. 10. If you’re looking for something a little more intimate, stop by Downtown’s newest nanobrewery, 160ft Beerworks at 1310 Nance Street. Their small-batch beers rotate often, and can be enjoyed in the comfort of their tap room, which seats around 35 people. 11. Every August, Flying Saucer turns one year older, and throws a super fun party to celebrate. August 20, guests can enjoy special tappings, food pairings, special guests and fellowship with other beer knurds toasting to the continued success of Downtown’s OG beer bar. 13. 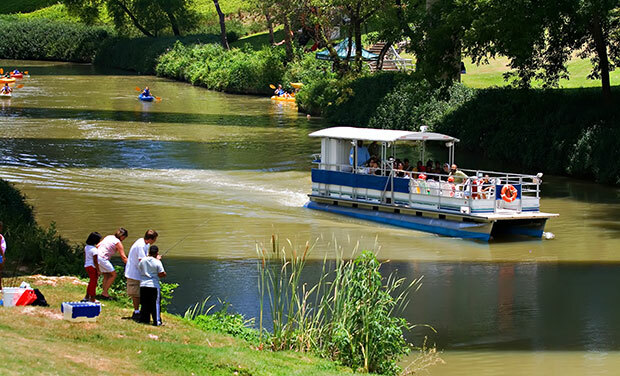 June 10, from 10 a.m. to 2 p.m., cruise down Buffalo Bayou from Allen’s Landing to the Port of Houston Turning Basin for the Port to Port boat tour. Find out the historical context from guide Andrew Groocock and see a side of the bayou’s upper channel that not many Houstonians have experienced. Cost of tickets - $45. 14. Ahh, the delights of Houston summer twilights. The sun goes down and summer seems somewhat bearable yet again. 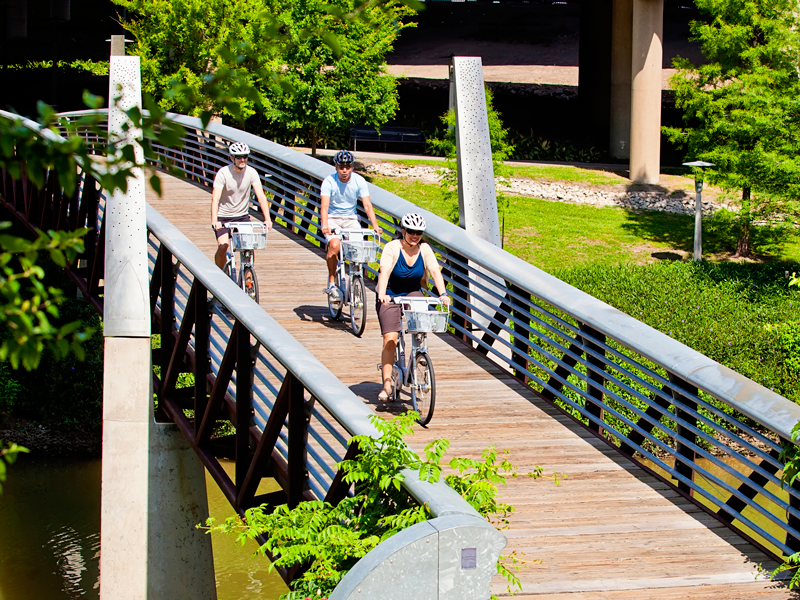 Join Buffalo Bayou Partnership on a half hour ride down the bayou between 6-8 p.m. Spots are first come, first serve, but there are several rides throughout the evening in case you don’t make it on the first ride out. Bring mosquito spray as well as $7 for adults and $4 for kids ages 4-12. Alligators have been known to lounge lazily on the banks, so there could be some excitement in store. Dates: June 15, July 17, August 19. 16. Keep the kids of all ages (4-18 years old) engaged via song, dance and monologue through the range of Theatre Under The Stars’ Humphreys School of Musical Theater summer camps designed for “all ages and ambitions.” Visit www.tuts.com/hsmt for details. 17. Lott Entertainment Presents Shaping Sound, a one-night-only engagement in Jones Hall, June 7, with Emmy Awardwinning Artistic Director Travis Wall and a troupe of dancers telling stories through movement. 18. It’s Snoopy, on stage, set to music! You can’t miss the world’s favorite beagle in TUTS’ The World According To Snoopy. Show dates: June 7-18. 19. Get out your jazz hands, because there are not one, not two, but THREE Broadway shows at the Hobby Center this summer, and they are going to be fabulous. In order of appearance: June 6-11 welcomes Something Rotten. Keeping the dream of the 1590s alive, the Bottom brothers sing, act and dance their way past artistic rival, Shakespeare, with their efforts to produce the world’s first musical. June 27-July 23: Disney’s The Lion King is a stunning stage production where audiences get lost in the Serengeti and fall in love with Simba the lion. August 15-20: The Bodyguard, which tells the unlikely love story between superstar Rachel Marron and her hired protector through the music made famous by the late Whitney Houston. I Wanna Dance With Somebody, I Will Always Love You, So Emotional and other songs will melt your cold, cold heart if the summer heat hasn’t already. 20. Hold tight y’all. There’s more, plenty more. 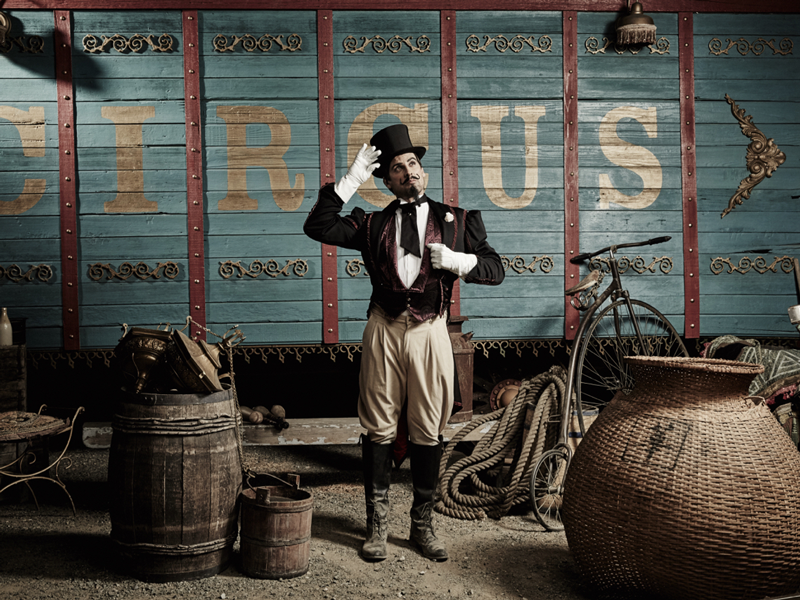 Welcome back to the glory days of acrobats, contortionists, strong men, knife throwers and more without the guilt of animal labor (those elephants are not real, they’re actually extremely sophisticated puppets) with Society for the Performing Arts’ Circus 1903: The Golden Age of Circus. June 9-11. 21. So maybe you want less singing, more dancing. How convenient! There’s a show for that June 8-18 at the Brown Theater. Ballet meets Bollywood in Houston Ballet’s staging of La Bayadère. It has the intrigue of the Indian jungle, a pair of ill-fated lovers, a fire god, spectacular costumes, heartbreak, revenge, a serpent and of course, the gorgeous choreography befitting of Houston’s finest ballerinas. 22. There’s something for everyone come August 27 from noon to 5 p.m. as the annual Theater District open house kicks off on yet another steamy Houston afternoon. You can expect face painting, ballet lessons, conducting lessons, and pop-up opera performances, all culminating in a free show from the Houston Symphony and the chance to sit in on a dress rehearsal with Houston Ballet. 23. Vacations are so last season. Now that the Marriott Marquis is finished, it’s time to book a weekend staycation right here in your own hometown. If for no other reason, to float down the Texas-shaped lazy river. All. Weekend. Long. 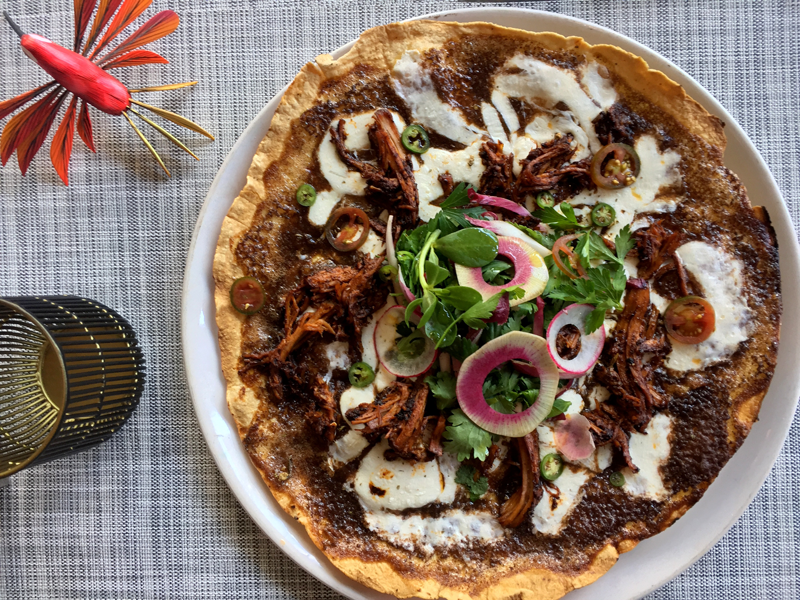 Do not miss the opportunity to dine at James Beard Award nominee, Hugo Ortega’s Xochi restaurant for Oaxacan cuisine. Mole, the original awesomesauce, plays heavily on the menu, as do meats like suckling pig roasted in a wood-fired oven. Also - mezcal. Also - desserts with edible ants as garnish. Also - wood-roasted oysters. Also - a martini with house-pickled tomatillos. It’s legit. In fact, it’s too legit to quit. 25. Sundance Cinemas is another winner with indie films, a full bar and possibly the best part for those who love to find the perfect viewing spot, but hate having to get there a half hour early: reserved seating. Relax at the bar right up until show time, and if you’re not finished with that cocktail, it can go right into the theater with you. There are also full meal options available like pizzas and hot dishes as well as upscale movie snacks. Plus validated parking. What are you waiting for? 510 Texas Street. 26. Mosey on down the Avenida, which is easily within walking distance of the Marriott if you happen to be staycationing on a Thursday night – which, by the way, you totally should, because Thursdays are the new Fridays. While there, catch some tantalizing tango, some sensational salsa or a bit of bangin’ ballroom dance steps. Each Thursday between 7-9 p.m. on the Avenida, enjoy Dancing in the Streets! with free lessons and a heck of a good time. 27. Check out the free concert series at Discovery Green featuring artists like Jesse Dayton, Leyla McCalla, Rosie Flores and Ian Moore. Openers start playing at 7 p.m. on Thursdays during June. 28. If you’re wanting some dance time on a non-Thursday night, here’s another option: Spice it up with Friday night salsa at the Downtown Aquarium. Professional dancers will be on site teaching all the Latin moves with a DJ spinning merengue, salsa and more. The last Friday of the month features a live band so you can show off your new moves and spin, pivot and salsa your way into the evening. No cover charge, 7-11 p.m..
29. Your staycation fall on the first or last Friday of the month? You’re in luck! Joystix, a showroom with two stories and 10,000 square feet of classic arcade games, pinball machines, air hockey tables and other fun novelties is open for their Pacman Fever Fridays. From 9 p.m. to 2 a.m., $15 gets you in the door for free play. Enjoy various cocktails and what-have-yous at the Eighteen Twenty Lounge right next door to complement the evening. 32. LAUNCH yourself into a world of handmade goods from local artisans at this pop-up boutique sponsored by Houston First. Located at 701 Avenidas de las Americas, the regularly rotating group of vendors sells items that range from vintage or art-embellished kimonos, locally designed and handcrafted men’s and women’s wear, handbags, soaps, stickers, magnets, jewelry, art and more. It’s like all the best Etsy shops came to life and took root at the Avenida. 33. Keep up with the latest fashion trends without making a dent in your bank account, by checking out the two-story urban flagship of Forever 21 inside GreenStreet at 1201 Fannin. Whether it’s music festival attire you seek (FPSF! 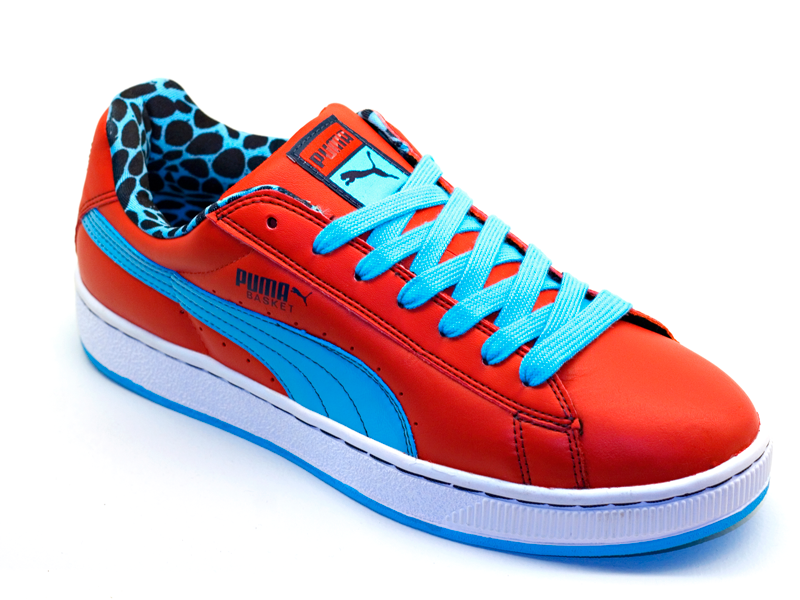 ), professional wear or just some fun accessories, put it on the fashion crawl list and see what summer apparel is so hot right now. 34. After all that shopping, it may be time for a refresher, which just happens to be the perfect time to stroll on down to Main Street (or hop and Uber or find a BCycle station or a $6 cab ride anywhere inside the Downtown area) for The Pastry War’s Mezquila Hour, which means half-priced mezcal and tequila seven days a week from 4-6:30 p.m. 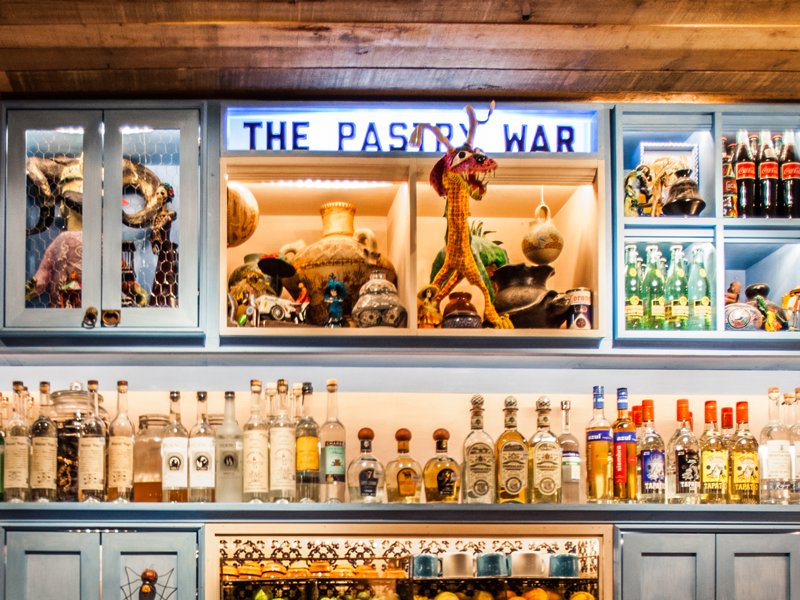 It should also be noted that there are no actual pastries at The Pastry War, but who needs a croissant when you have HALF-PRICED MEZCAL AND TEQUILA? P.S. Free games of pool and complimentary aguas frescas also available during this hora feliz. Did we mention that the tequila and mezcal are half-priced? Because you should really just focus on that part. 35. If you’d like even more hours that embrace the concept of happiness through food and beverage discounts, La Calle Tacos has al pastor tacos for $1, a bottomless Michelada station ($2) and buckets of cerveza for $11 between the hours of 3-7 p.m. Monday through Friday. Now, that’s a deal as caliente as a Houston summer. 37. Not that you need an excuse to drink wine on a Wednesday during the summer, but the Heritage Society is giving you that added incentive with their Wine Wednesdays from 5-8 p.m. 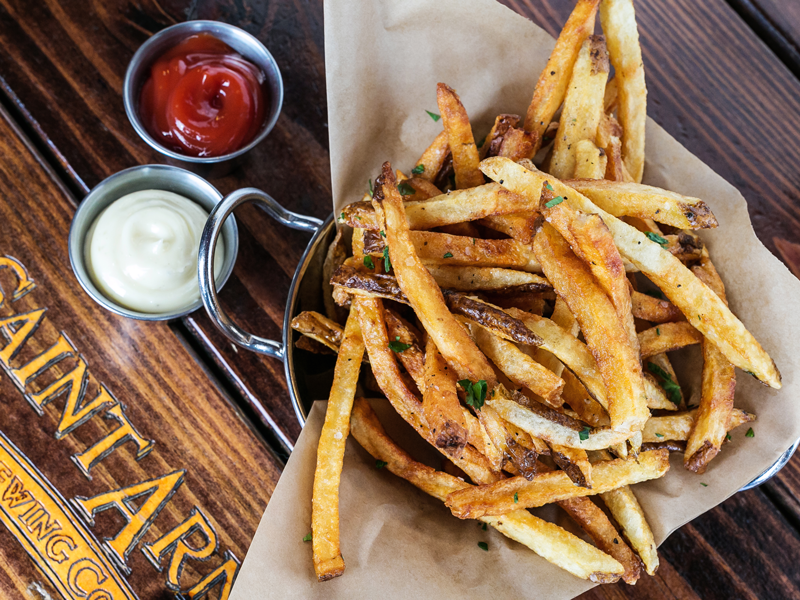 Escape the madness for a few hours and enjoy snacks from Phoenicia Specialty Foods, plus wine and beer on the patio while basking in the glow of Houston’s historic grandeur. If you make it before June 24, also take the time to check out their recent exhibit Tropical [IM]pression: A Gulf Coast Hurricane Retrospective – a look back at the city’s stormy past through photographs and submissions from Houstonians who experienced Hurricanes Rita and Ike. 38. Go-getters, hustlers, coders, and generally hungry entrepreneurs now have a haven Downtown at Station Houston. The innovative co-working space is also its own community featuring lots of programming, meet-ups and events like Open Pitch Practice (June 16, 3:30-5 p.m.) which is like open mic night, but for entrepreneurs looking for investors. Stop in, stop by, make yourself comfortable and make a few connections while you’re there. 42. 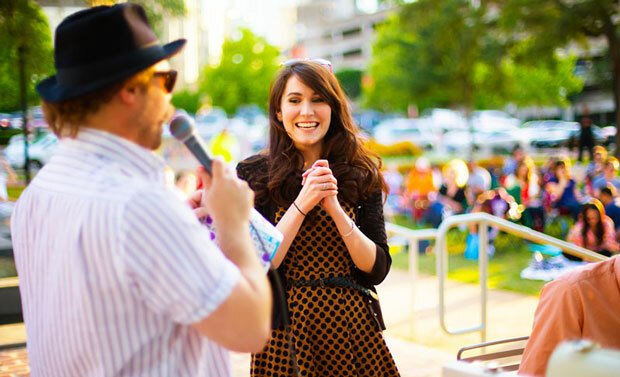 “BINGO!” Practice saying it over and over until you’ve perfected the ideal level of excitement while still holding your composure, because June 15, July 20 and August 17 starting at 7 p.m. there will be Bingo games and music benefitting Market Square Park and Buffalo Bayou Partnership. Here’s a handy checklist so you can be prepared for an evening full of win. What to bring? Yourself. Your friends. A blanket (duh!). OK, so possibly a camping or lawn chair if you don’t want to sit directly on the ground. Your listening ears. How else will you hear the caller say, “B 19” or “I 9”? $10 cash. A childlike sense of wonder (optional). An attitude of fun and excitement (also optional). 43. You kombucha last dollar you’re going to love this. Kombucha is not a country in Latin America, though it totally sounds like one. It’s a drink made from fermented tea that many also claim is a magical elixir full of good bacteria to enhance your digestive system. Luckily for Downtown, it’s also a drink made by the legendary health food expert Pat Greer and it’s found on tap at Local Foods this summer. Get a refreshing taste at the newest location of the all-scratch-made sandwich shop that recently moved into the 10,000 square feet of space at 420 Main Street Bonus: Pretty much everything else on the entire menu. Plus beer and wine. A special weekend menu. Brunch (OMG!). OK, so these are all way more than bonuses. Let’s rephrase. Step 1. Go to Local Foods. Step 2. Enjoy the heck out of your beverages and your meal. Step 3. Thank us later. 45. Two words: Prosecco popsicles. The frozen adult confections abound in Downtown, and you’ll find this one at the Four Seasons poolside bar. 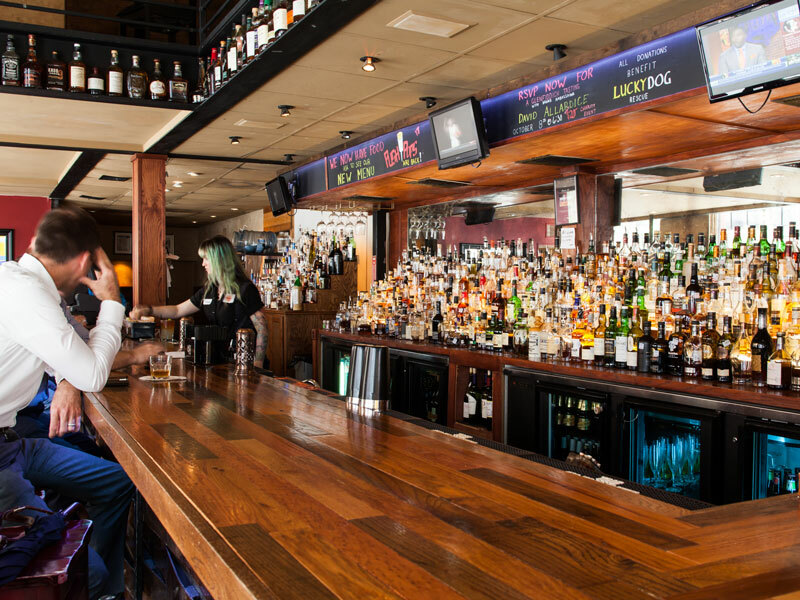 While you’re there, make sure to scope out the hotel’s newest lobby bar and restaurant, Bayou & Bottle. As if that weren’t enough to draw you in, there’s now a Topgolf Swing Suite that can be rented out by the hour for groups of up to 15 featuring two golf simulators, a lounge-y vibe, plenty of high definition televisions and perhaps the most enticing of all, air conditioning. 46. 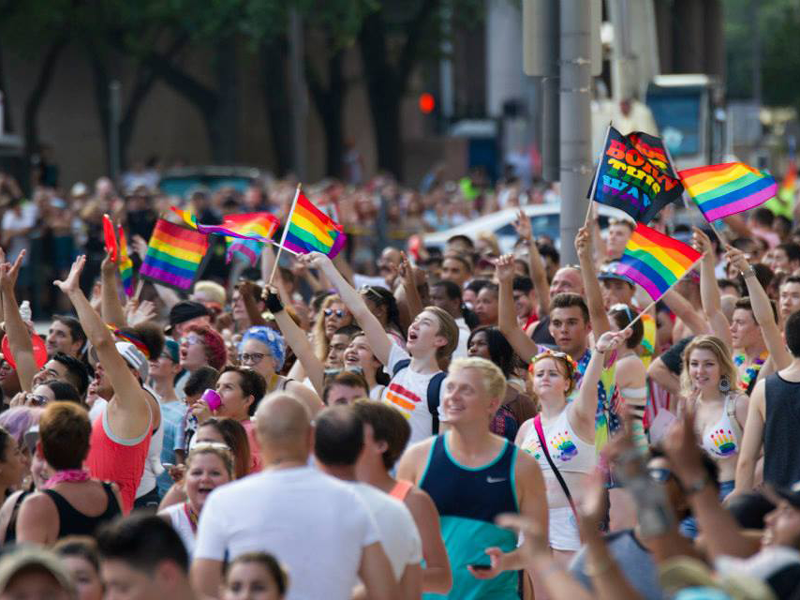 The Houston LGBT Pride Celebration is going on 39 years! It’s almost over-the-hill, but still knows how to party. Join the epic event with 700,000 of your closest friends and allies and travel to Wonderland and beyond. The festival itself starts June 24 at noon with the parade kicking off at 8:30 p.m. Everything is free to the public, minus the VIP areas, which can be accessed for a fee. Dress as your favorite Alice In Wonderland character, or just as yourself. It’s safe to say that literally anything goes when it comes to Pride attire. Do plan ahead and don’t forget sunscreen, water, patience and remember it’s a marathon, not a sprint. 47. Catch Sidewalk Cinema, the newest Art Blocks installment located in two windows of the Sakowitz garage at 1111 Main Street. This video-focused addition is a collaboration between the Downtown District, the Downtown District Public Art Committee and a partnership with the Aurora Picture Show. The inaugural installation, which runs through July is Color Play, a 40-minute reel of six video works by four female video artists played on alternating loops. 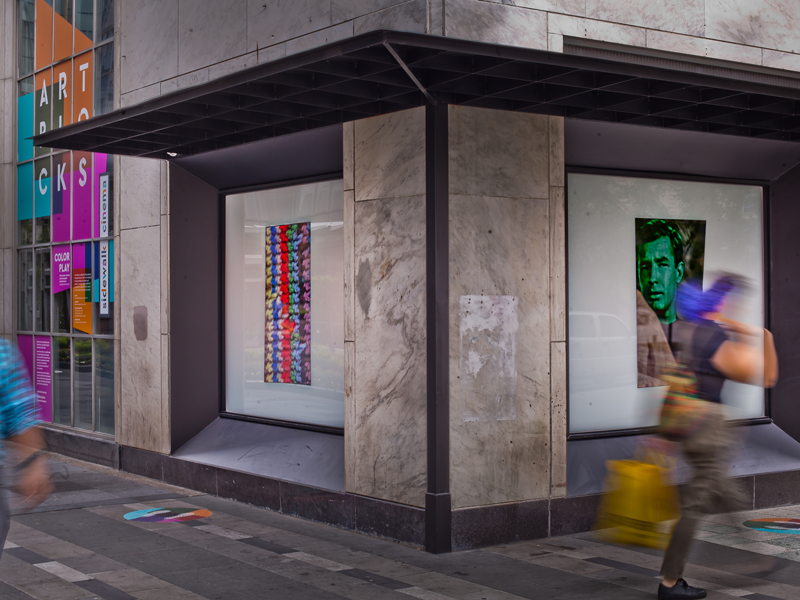 “The location for Sidewalk Cinema isn’t your typical gallery or theater set-up, so I selected work that might catch people’s attention as they rush by,” said Mary Magsamen, curator for the Aurora Picture Show. “My hope is that people will stop and watch — for 30 seconds or 30 minutes — and that they’ll find something that speaks to them from one of the four artists featured.” Color Play features the works of Kasumi, Kawita Vatanajyankur, Jodie Mack and Houston’s own Emily Peacock. 50. Prohibition has gone through some changes recently, rebranding the restaurant portion as a casual oyster bar open for dinner only, but the extravagant burlesque shows in the revitalized Isis Theatre are still part of the supper club. 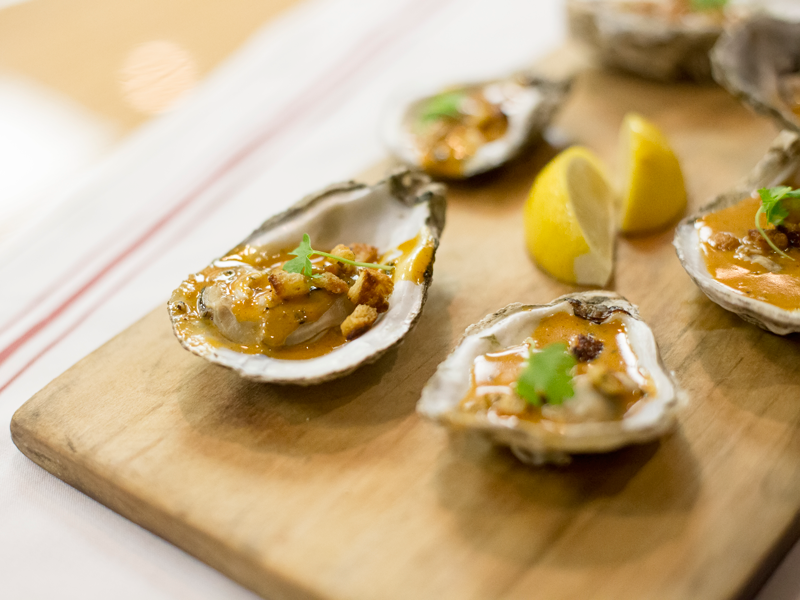 Come for the oysters, stay for the theatrics. But just know they’re two separate entities with separate menus and separate entrances. 1008 Prairie.